We collect your Personal Information when you provide it to us while visiting the Website, such as when you contact us, submit requests for proposals, enter a sweepstakes, contest, promotion or competition, request information or otherwise interact with this Website. Cookies. The Website may place small files, called “cookies” onto your computer. Cookies are data files that websites write onto computer hard drives for record keeping purposes when you visit them. The cookie file then identifies you as a unique user. As a convenience feature, cookies simplify the process of recording personal information, so that, for example, users do not have to enter names, addresses or passwords repetitively. Cookies also allow users of the Website to customize certain site features. You can program your browser not to accept cookies, but if you do, you may not be able to use certain portions of the Website and the Website will not be able to customize certain features according to your preferences. Web Beacons.Small graphic images or web programming code called web beacons (also known as “pixel tags” or “clear GIFs”) may be included on the pages of the Website and in email messages we send you. Web beacons or other similar technologies may be used for a number of purposes, such as to count visitors to the Website, monitor how you navigate the Website or to count how many particular articles or links posted on the Website were actually viewed. Mobile Device Identifiers.Certain mobile service providers uniquely identify mobile devices and we, our Partners or our third party service providers may receive such device information if you access the Website through a mobile device. Certain features on the Website may require collection of mobile phone numbers and we may associate that phone number to mobile device identification information. Additionally, some mobile service providers operate systems that pinpoint the physical location of devices that use their services. Depending on the provider, we, our Partners or our third party service providers may receive this information. Embedded Scripts.An embedded script is programming code designed to collect information about your use of this Website, such as the links you click on. The code is temporarily downloaded to your computer from our web server or a third party provider, is active only while you are connected to the Website and is deactivated or deleted once you leave the Website. In some cases we may employ third party service providers to perform certain services on our behalf, including, without limitation: (i) processing and fulfilling your orders; (ii) providing customer service; (iii) shipping, sending postal mail and emails; (iv) contest, sweepstakes, promotion and competition administration and prize fulfillment; (v) removing repetitive information from customer lists; (vi) analyzing, updating and correcting information we receive on the Website; (vii) performing business analysis or quality control; (viii) providing marketing assistance, search results and links (including, without limitation, paid listings and links) and (ix) processing credit card and debit card payments. Consequently, we may share your Personal Information with these third party service providers if they need it to perform services on our behalf. However, such third party service providers are not authorized by us to use your Personal Information for any other purpose. Your Personal Information and Website Usage Information may be transferred, sold or otherwise conveyed to a third party where AWG Ambassador: (i) merges with or is acquired by another business entity; (ii) sells all or substantially all of its assets; (iii) is adjudicated bankrupt or (iv) is liquidated or otherwise reorganizes. You consent to any and all such conveyances of your Personal Information and Website Usage Information. We may disclose your Personal Information and Website Usage Information without notice: (i) when required by law or to comply with a court order, subpoena, search warrant or other legal process; (ii) to cooperate in investigations of fraud, intellectual property infringement or any other activity that is illegal or may expose us or you to legal liability; (iii) to enforce or apply the Website’s Terms and Conditions; (iv) to verify the identity of the Website’s users and (v) to protect and defend the rights, property or safety of AWG Ambassador, AWG Ambassador’s Partners, the respective officers, directors, employees and representatives of each, and the Website’s users. We may also share aggregated Website Usage Information that does not identify you personally with third parties. While on the Website or when viewing an email or other content provided by AWG Ambassador or the Website, you may encounter links to other websites operated by third parties. These other websites may set their own cookies, collect data or have their own privacy policies and practices. 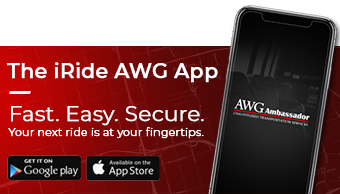 AWG Ambassador is not responsible for the privacy practices or the content of such third party websites and we encourage you to review the privacy policies of these sites as soon as you enter them. Links to any third party website or content do not constitute or imply an endorsement or recommendation by AWG Ambassador of the linked website or content. This Website is targeted primarily for use by adults. AWG Ambassador does not knowingly or intentionally collect or use any Personal Information from or market its products and/or services to individuals under the age of 13. However, we hereby advise all users of our Website under the age of 13 not to disclose or provide any Personal Information on the Website. In the event that we discover or are notified that a child under the age of 13 has provided Personal Information to us, in accordance with the Children’s Online Privacy Protection Act we will delete the child’s Personal Information from our files to the extent technologically possible. In addition, we reserve the right to limit participation in particular programs, contests, sweepstakes, promotions and competitions to visitors of the Website that are 18 years of age or older. This Website is operated in the state of Nevada in the United States. If you are located in Canada, the Caribbean, the European Union or anywhere else outside the United States, please be aware that any information you provide to AWG Ambassador will be transferred to the United States and by submitting the information you consent to this transfer. If you believe that any Personal Information about you that we collect is incorrect or has changed, please send an email message to <;, explaining the correction or change and providing any relevant confirmation or reference number.